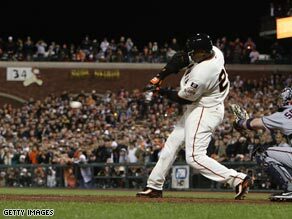 By his statistics alone, Barry Bonds would be considered one of the greatest players to ever walk onto a baseball field. In addition to a string of playing awards, Bonds holds the most sacred record in all of American sport: the all-time homerun record. From 2000-2004, opposing teams were so afraid of his ability they essentially refused to pitch to him, choosing instead to tactically move him on to the next base instead of allowing him to hit the ball. He was a one-man wrecking crew speeding towards sporting immortality, but was it all too good to be true The answer to that question for many people is yes. In 2002, Bonds was one of several professional athletes to testify before a federal grand jury investigating a company that was charged with distributing illicit performance-enhancing drugs to athletes. In his testimony, Bonds stated that he never knowingly used performance-enhancing drugs. When he walks into a San Francisco courthouse in March, the United States government will try to prove that Bonds lied. For the past five years, Bonds has been front and center for what is now referred to as Major League Baseball’s ‘Steroids Era’ — a period of time starting roughly in 1996, when players took steroids to improve performance, recover from injury, and extend their athletic careers. There was no fear of being caught because baseball didn’t have a drug testing program in place until the 2004 season. In addition to Bonds, the accusations and innuendo of steroid use has ensnared some of the games biggest stars from that period. Players like former St. Louis Cardinals slugger Mark McGwire, former Chicago Cubs outfielder Sammy Sosa, and pitcher Roger Clemens. Currently, Clemens is also being investigated to determine if he lied when he testified before a panel of U.S. congressmen that he never used performance-enhancing drugs. Some players, like former Oakland A’s outfielder Jose Canseco, have actually admitted that they took steroids while playing. Ironically, Yankees superstar Alex Rodriguez, who many believed to be a steroid-free player who would one day supplant Bonds as the new homerun king, recently admitted that he too took steroids, but only during his years with the Texas Rangers. Watch how Rodriguez blamed his use in-part, on trying to live up to a contract he signed at the time which was worth $250 million. Watch Rodriguez talk about his drug-taking » The situation has created a great debate in the U.S. about what to do with all the records that were achieved by players who are suspected of using steroids. Bonds started picking up awards before the ‘Steroids Era’ and continued playing after its end, hitting homeruns before, during and after. During his career Bonds was the attacking superstar but he also won eight Gold Gloves for defensive excellence and seven Most Valuable Player awards — a once-a-season award by sportwriters. Some have called for the records to be wiped from the books while others have said it’s impossible to do because one can’t know for sure who did and did not take steroids. In a recent interview, MLB Commissioner Bud Selig said he’ll “consider everything”, but when it comes to changing records he called it a “slippery slope” and “a very difficult process.” The U.S. government has been investigating Bonds for several years. If the government doesn’t get a conviction, it will be viewed as a colossal waste of time and millions of dollars in taxpayer money. For Bonds, there is no upside for his reputation if he avoids conviction because most Americans have already made up their mind as to his guilt or innocence. For baseball, it will just be another chapter in a story that doesn’t appear to have an ending, no matter how much they’d like it to.